Undergraduate and graduate business students from across the country will compete in a two-day business plan pitch competition on the University of New Brunswick’s Fredericton campus on Jan. 24 and 25, 2019. 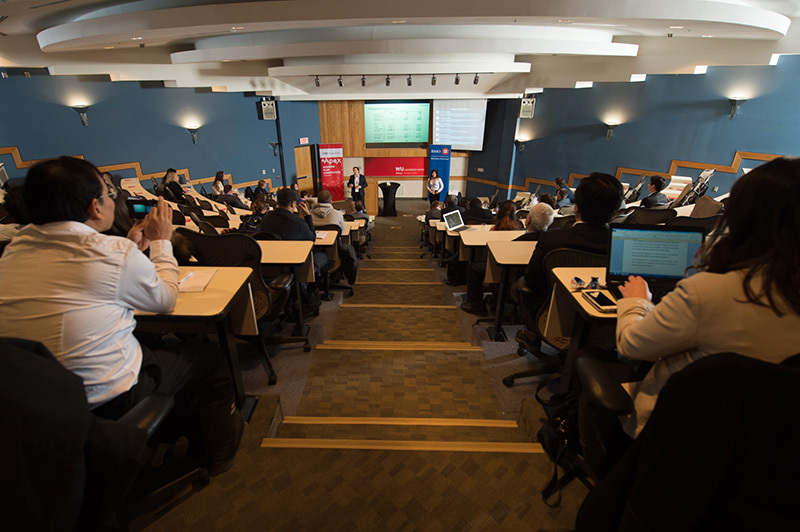 BMO Financial Group, in partnership with UNB’s International Business and Entrepreneurship Centre (IBEC), will be hosting the BMO Financial Group Apex Business Plan Competition at the Wu Conference. Twenty-six teams from across the country will compete, develop, direct, organize and present their business plans while gaining advice from a panel of business leaders before going head-to-head during an open pitch session. Judges will then select four teams from the undergraduate track and seven teams from the graduate track to compete in the finals on Friday, Jan. 25. Finals are open to the public and will take place beginning at 8:15 a.m. in the Kent Auditorium at the Wu Conference Centre. Five thousand dollars will be awarded to the winning team at each of the two levels, with additional cash prizes for first and second runners up. A Viewers’ Choice Award, voted for by teams, judges and the audience, will also be awarded. Winners will be announced at a gala dinner on Friday evening, where last year’s winner, Hannah Chisholm will give the keynote address. For more information, please contact apex@unb.ca.